Mel Gibson returns to the big screen with shades of Sicario and Payback in this edge-of-your-seat action thriller. 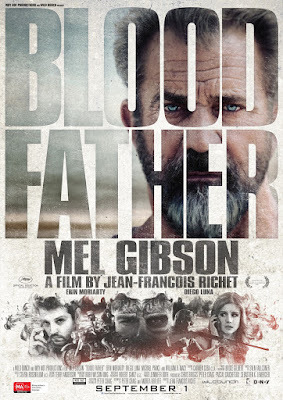 Scripted by Straight Outta Compton’s Andrea Berloff and The Town’s Peter Craig (based on his novel), BLOOD FATHER is brought to the screen by the team behind The Prophet and Rust & Bone and helmed by the César-winning French director behind the acclaimed Mesrine films. Action and attitude meets humour and humility as Gibson stars as John Link - an ex-con trying - none too enthusiastically - to embrace life on the straight and narrow. Eking out a meagre existence as a tattoo artist in his trailer park home, he battles with his past and his future.